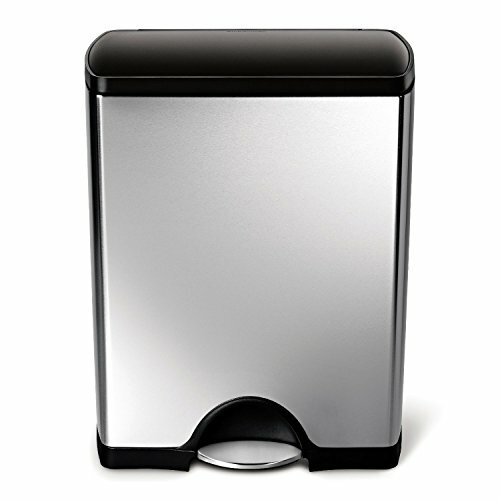 The simplehuman 46 Liter / 12.2 Gallon stainless steel dual compartment rectangular kitchen step recycling trash can with plastic lid has an internal hinge and space-efficient shape so you can place it directly against the wall and out of the way. And its stylish design enhances any home decor. The strong steel pedal means the can is hands-free and is designed to last 150,000 steps — that’s more than 20 steps a day for 20 years, and simplehuman’s patented lid shox technology ensures that the lid closes softly in a smooth, quiet manner. 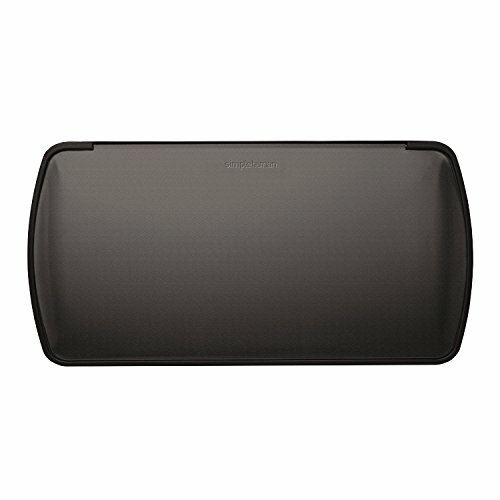 DENT-PROOF PLASTIC LID – Durable black plastic won’t show dirt or fingerprints. 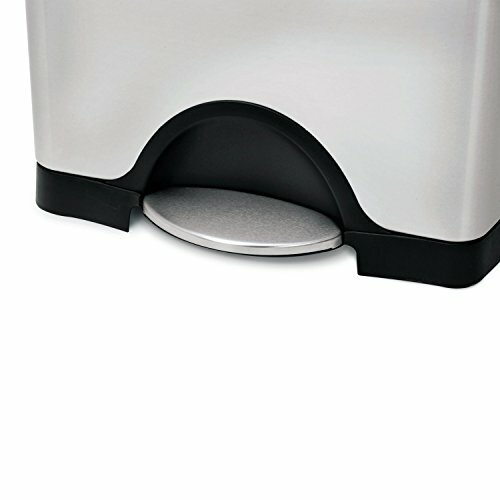 LID WON’T BUMP WALL – Internal hinge allows you to place this can right up against the wall without scratching it. 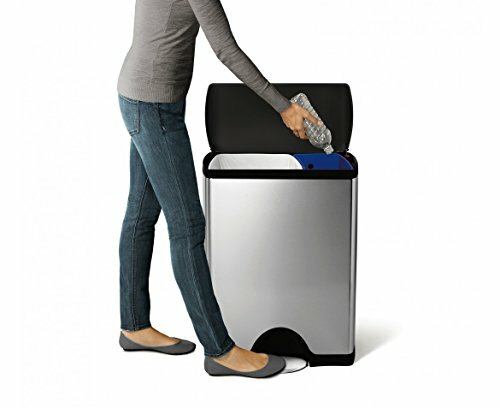 STAY-OPEN LID – The lid stays open for as long as you like – perfect for longer chores. 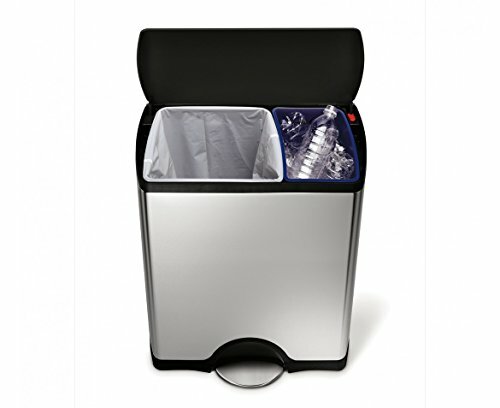 ENHANCE YOUR TRASH EXPERIENCE – Extra-strong and durable Codes H & V custom fit liners fit this can perfectly for a cleaner trash experience.